Where to find Provost hotels near an airport? 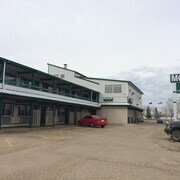 Where can I find hotels in Provost that are near tourist attractions? Searching for accommodation within a short driving distance of central Provost? 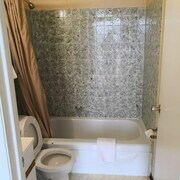 Downtown Provost has 2 apartments and hotels within easy driving distance. If you are wanting to book a hotel that is only a stroll from the Provost city center, Canalta Provost and Provost Motor Inn would be perfect. 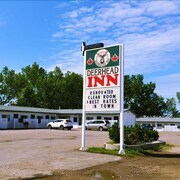 Once you have spent time in Provost, ensure you allow time to visit Central Alberta's other attractions. Visit Central Alberta's old towns, archeological sites and nature museums and enjoy the area's forests, rivers, streams and lakes. Adventurous visitors might enjoy snowboarding and skiing here. The Wainwright Golf Club is a well-known destination in this region. 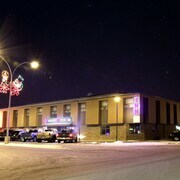 Find accommodation in Wainwright, , 65 kilometres (41 miles) to the northwest of the middle of Provost. 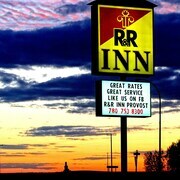 Make a selection from the Best Western Wainwright Inn & Suites and Ramada Wainwright. John G. Diefenbaker International Airport is located 240 kilometres (152 miles) away from Provost. 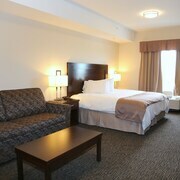 If you choose to stay close by, can book a room at the The James Hotel or the Delta Hotels by Marriott Bessborough. Are there hotels in other cities near Provost? What other types of accommodations are available in Provost? Explore Provost with Expedia.ca’s Travel Guides to find the best flights, cars, holiday packages and more!